I am an avid orchid hobbyist, hybridizer, and AOS judge. I reside in Southern California and grow orchids in 3 small greenhouses. I grow primarily mini-catts, Sophronitis, Dendrobiums and miniature species. I frequently give talks at various orchid societies and have written articles for the Orchid Digest and ORCHIDS magazine. Please click on the "Speaking Topics" above to the left if you are interested in me as a speaker for your society. Peter started growing orchids over 35 years ago, but then stopped due to school and starting a career. It wasn't until about 14 years ago that the orchid "bug" came back and he is now heavily involved once again! 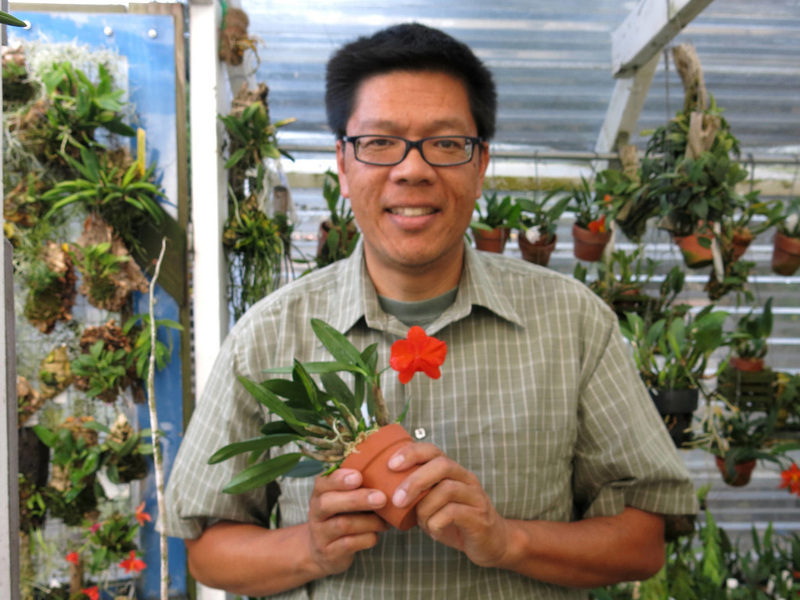 He is an accredited judge with the American Orchid Society, and a hybridizer of mini-catts. He enjoys meeting with other orchid enthusiasts, and can often be found at various orchid shows and societies around the country. Due to limited growing space, Peter likes to specialize in miniature orchids, both species and hybrids, and has received numerous AOS awards. His interests in orchids include Dendrobiums, Angraecoids, and Neofinetias. He is also known as "Mr Sophronitis" as he has a passion for growing and collecting them. He maintains a collection of a thousand or more orchids at his home in Southern California in 3 small greenhouses, outdoors, as well as an offsite greenhouse.